I’ve never done a blog series…but the other day I was thinking of ways to come up with a low cal margarita alternative and BOOM! It hit me – Booze-day Tuesday! I was thrilled thinking that I was super original, and then…I was at the gym and Kathie Lee and Hoda came on. Turns out they do Boozeday Tuesday. So while my hopes of originality were totally dashed, I think it might be too fun to pass up! So here it is! 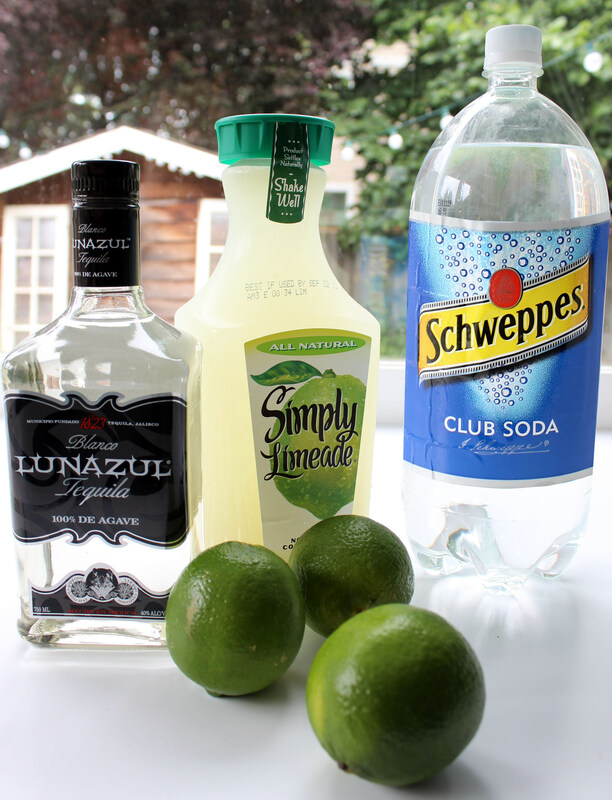 Booze Day Tuesday – Low Calorie Margaritas! I love margaritas, but they are so high in calorie and a lot of the time are too sweet for me to handle. 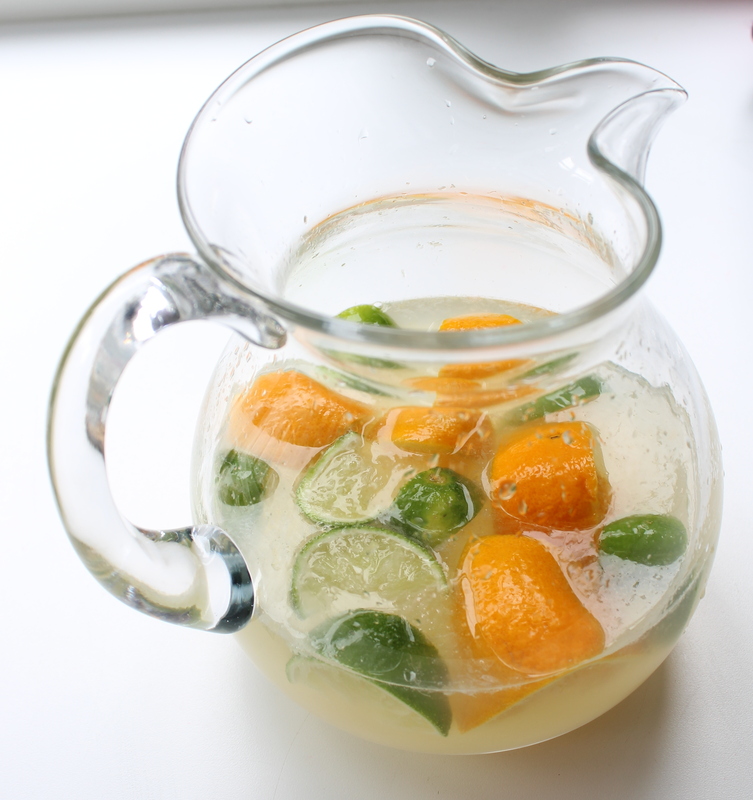 I wanted a light, spritzy (not a word: ) summer beverage that I could enjoy in the sun without the guilt. It’s just tequila, limeade, club soda, and limes! 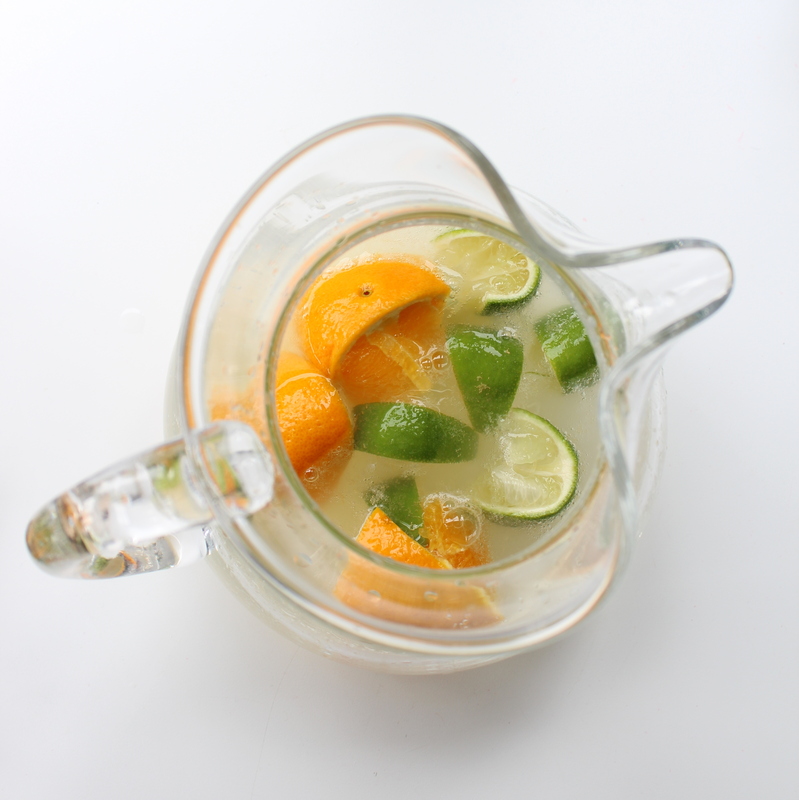 I did the same with the oranges, only because I had them on hand…plus I kind of like fruit floating around in my drink. Feels more exotic that way! 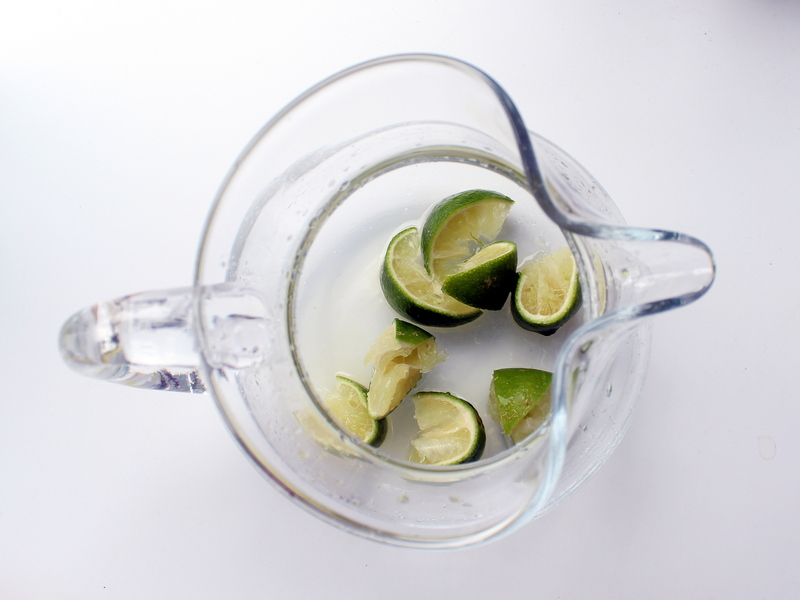 Then I added the tequila and limeade. And then for the club soda! Serve over ice! And enjoy on a sunny deck! An 8 oz serving ends up being about 130 calories, not too bad considering most restaurant margaritas are close to or over 500.